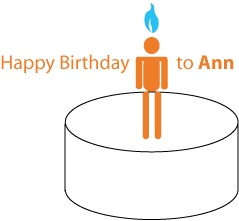 Before I start off this week, “Belated Birthday Wishes” to my good friend and fellow blogger Ann, who runs the coolest band of marketing maniacs over at the Daily Fix. Ann has done a terrific job of running a great marketing website by facilitating great marketing conversations. Keep up the great work, Ann! More greetings from the marketing community here & here. For those of you who haven’t followed Jeremiah’s trip back to China for a family reunion — here’s your chance to check out some really cool pics from China as well as a fascinating journey back into time. Here’s a fascinating write-up from Jeremiah that neatly ties his thoughts together and the China Trip Blog he created. 3. The Church is Back! It’s been a while since I read some really cool posts from Ben and Jackie over at the “Church of the Customer”. Their most recent post outlines WOMMA’s 20 new rules to identify & prevent astroturfing scandals such as the recent Edelman fiasco! Q 7. Do we forbid the blurring of identification in ways that might confuse or mislead consumers as to the true identity of the individuals with whom they are communicating? Q 4. Is all of the information provided to advocates, consumers, and the media factual and honest, and are all of our claims accurate? Ben or Jackie, I’d love to hear your take on the Borat phenomenon. My “Borat” post is coming up tomorrow. 4. Are we there YET? Corporate Blogging? The Blogging Success Study released Nov 2, 2006 by Dr. Walter Carl, the students in his Advanced Organizational Communications class (Spring 2006) at Northeastern University and John Cass and his colleagues at Backbone Media, Inc.
As Toby rightly points out, the Blogging Success Study (I should spend more time on it), epitomizes the very nature of all things blogs and wikis, by offering the opportunity to offer feedback on all the chapters! Nice. Feel free to check out the entire post here & check out the study here. Mike recently contemplated the possibilities for local and niche businesses through Google Co-Op, which allows us to “harness the power of Google search technology to create a free Custom Search Engine that reflects specific interests”. Well, the wait is over. John from Duct Tape Marketing has created the nifty Google Custom Search for Small Businesses. Read all about it here and you can check out the Small Business Google Search tool here. Tomorrow’s post: Breaking News — Jeremiah moves to Podtech! Tomorrow’s Wednesday post: Why “Borat” succeeded while “Snakes on a Plane” did not? Day-after-tomorrow’s Thursday post: What is MPlanet, Marketing Unconference, and what’s it gotta do with me? Monday through Thursday and again on Sunday. Happy Belated Birthday Ann! And thanks for mentioning her B-Day Mario! Well, it’s all in the community, as you’d rightly say, Mack! Thanks for imbibing in me the spirit of the community blogger. Ann is also definitely of the same mold. Thanks for the birthday greetings, Mario…. ! Much appreciated. Can’t wait to read that Borat post! One of my favorite topics, as it happens. Hi Mario – thanks for the shout out and your kind words. In regard to the Northeastern study, as Tim Jackson commented on Diva, it’s not a surprise that the successful blogs had many strategic aspects in common. Great to see Ann’s work acknowledged by so many people. I’m waiting for a MarketingProfs party 😉 .. now that will really bring the community together! I’ve been an avid reader of your blog for a long time. Nice to see both our blogs track the evolution of corporate blogs. I believe Debbie Weil and Easton Ellsworth are also like minded marketers along the same path. Please keep reading and blogging. Nice to meet you too! Seems we have another connection .. AMA. Quite exciting to see corporations beginning to ‘get’ that social media is a credible marketing strategy. We have a loooong way to go. Thanks for including me in such good company – you, Easton and Debbie.